Spanish priest and mystic, the chief exponent of Quietism. He studied theology at Valencia, moving to Rome after his ordination. Quietism is a form of religious mysticism, influenced by Neoplatonism, which requires extinction (quieting) of the personal will, and passive contemplation to allow infusion of the Divine Will. 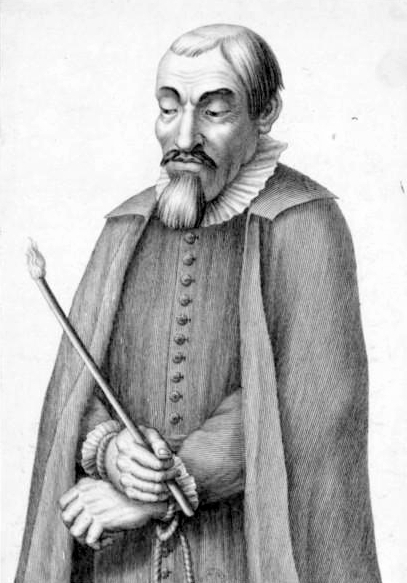 Molinos believed that his doctrine of Quietism was the way to Christian perfection. Molinos wrote The Spiritual Guide (1675), which is included in the Liber E and A:. A:. Section 1 reading lists, and is required reading for entry to the probationer level of A:. A:. Crowley describes it as a “simple manual of Christian Mysticism.” It caused an immediate sensation on its publication, and was popular among Protestants as well as Roman Catholics. In 1685 e.v., at the height of his popularity, Molinos was arrested by the papal police, tried, and eventually sentenced to life imprisonment for heresy. The way to inner peace shown by Molinos in the Spiritual Guide is fourfold: 1. prayer; 2. obedience; 3. frequent communion; and 4. inward mortification. Molinos does not advocate withdrawal from the external affairs of life, but characterizes performance of one’s ordinary calling, if it is done with inner concentration and devotion to the Divine Will, as “virtual prayer.” Practice progresses from meditation through contemplation to “passive infused contemplation,” a state wherein contemplation is habitual and continuous. Molinos eschewed speculation on, or longing for, the Godhead, as well as external mortifications, as being too involved with the personal will. He saw obedience as necessary to the contemplative life as a corrective to the tendency of the personal will to reassert its dominance. His arrest was a result of a campaign against him by the Jesuits, who viewed the internalizing doctrines of Quietism as not only a threat to the established practices and temporal ambitions of the Church, but also as leading to antinomianism. When the personal will is extinguished, so the doctrine goes, the devil can temporarily make himself master of the contemplative’s body and force him to perform acts which would seem, out of context, to be sins. However, the real sin, according to Quietism, would consist in reasserting the personal will by consciously resisting the promptings of the devil.